Despite adding two more chapters to the story of his historic career as the Oklahoma City Thunder got back on track with consecutive victories, Russell Westbrook still has work to do, writes Sam Johnston. Against the Los Angeles Lakers on Tuesday, Westbrook became just the second player in NBA history to record 20 or more points, assists and rebounds in a game, following in the footsteps of the legendary Wilt Chamberlain. The point guard's 20-point, 21-assist and 20-rebound performance was made more poignant by the tragic circumstances that had preceded the game. Westbrook's good friend and fellow Los Angeles native, musician Nipsey Hussle, had been killed days earlier. "It means everything to me," Westbrook said of honouring his friend. For most, such added motivation might see them play with more intensity than usual. For Westbrook, that's impossible. The 30-year-old approaches each and every game with same fervour, which is a large part of the reason he made more history three nights later. Westbrook torched the Los Angeles Lakers for 20 points, 20 rebounds and 21 assists as the Oklahoma City Thunder rolled to a 119-113 win. With the Detroit Pistons the visitors this time, Westbrook needed just three assists to ensure that he would achieve the unprecedented feat of averaging a triple-double for a third straight season . Westbrook recorded just the second triple-double season in NBA history - to great fanfare at the time - as he won the MVP award in 2016-17, but has since made it his norm, and it took him just four offensive possessions to seal his third. "I take one day at a time and that's it," Westbrook said when asked about whether he appreciates the magnitude of his achievements. His Thunder teammate Paul George was more forthcoming. "Nobody will be able to match that or beat that," George said. "You've got to be wired a certain way on a nightly basis to compete at that level. He's special." There was more evidence to back up George's final statement during Friday's game. 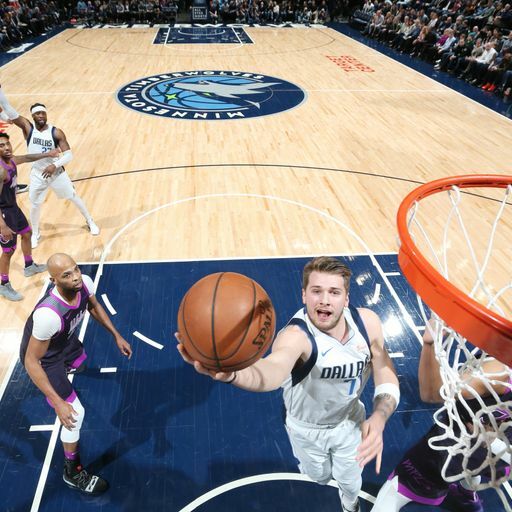 Although it was the third assist that made history, it was another one later in the game that almost lifted the roof of the Chesapeake Energy Arena. Westbrook grabbed a rebound under his own basket and raced up the court before spinning into the lane and finding Steven Adams with a no-look pass over his shoulder. Adams obliged with a simple finish at the rim and even the Kiwi center dropped his surly on-court demeanour momentarily to smile at the brilliance of Westbrook's pass. Westbrook put it on a plate for Steven Adams with a spinning, over-the-shoulder assist. There only two players with more career triple-doubles than Westbrook (135) are Robertson (181) and legendary point-guard Magic Johnson (138). Asked if he had channelled 'a little Johnson' for his assist to Adams, Westbrook's response was telling. "Nah, I got a little Russell Westbrook," he said. While his talent, intensity and eccentricity have made Westbrook one of the most watchable players in the league over the last decade, he remains a hugely polarising figure. It is widely accepted that Kevin Durant opted to leave the Thunder because he didn't think he could win a championship playing alongside Westbrook. 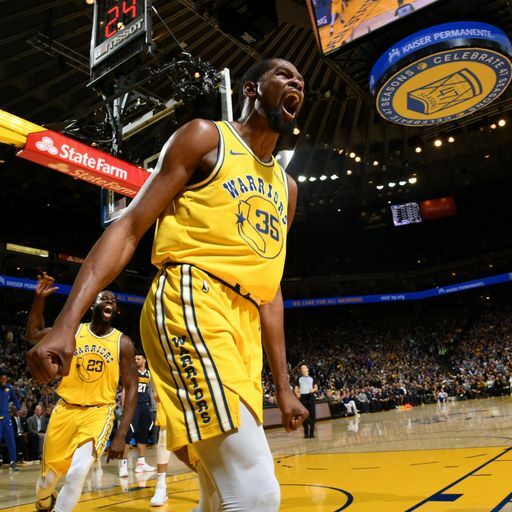 While Durant joined an already historically brilliant Golden State Warriors squad, the successive titles - and NBA finals MVP awards - he has won since departing Oklahoma City have only emboldened Westbrook's critics. Whether or not they dispute that he's fun to watch, many believe Westbrook's all-out style isn't geared toward postseason success. Along with moments of brilliance, turnovers and ill-advised shots at the end of crucial games have been a regular feature of his career. Westbrook's petulant side, which has often manifested itself during his interactions with the media, was also on show on Friday as he appeared to settle a score with Pistons center Zaza Pachulia. Pachulia spent the two previous seasons alongside Durant with the Warriors and made dirty plays on Westbrook on two separate occasions, one of which led to a public promise of retribution. It finally came in the form of an extremely hard foul that left Pachulia lying on the floor. Given the narrative, Westbrook was fortunate to avoid an ejection and suspension for the play, but the incident highlighted the lack of composure that has blighted him. The record-breaking week has been a bright spot in a difficult season for both player and franchise. Despite continuing to impact the game with averages of 22.9 points, 11.1 rebounds and 10.6 assists per game, Westbrook has shot poorly all season, and while having at one point appeared to be perhaps the biggest threat to a third successive title for the Warriors, the Thunder have fallen to the lower seedings and could now face the reigning champions in the opening round. Who has made the playoffs? Who has missed out? Westbrook hasn't been solely responsible for the worrying fluctuations in the Thunder's form. Fellow All-Star Paul George, who had carried the team's offense during their best streaks, has appeared to be struggling with a shoulder problem in recent weeks, while a general lack of perimeter shooting has allowed opponents to make life difficult for Westbrook by clogging the paint. 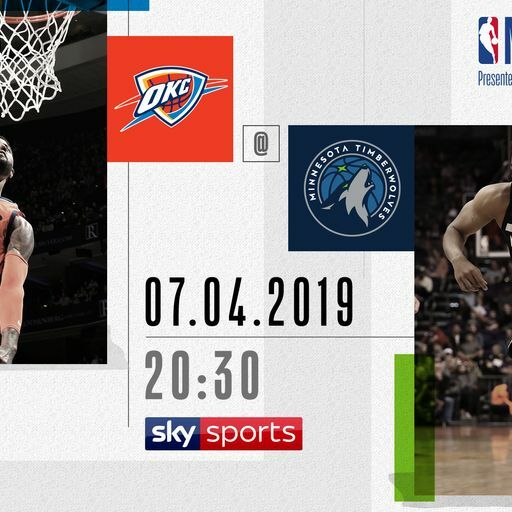 The seventh-place Thunder (46-33) sit between the Los Angeles Clippers (47-33) and San Antonio Spurs (46-34) and will therefore likely require at least two wins from their final three games to avoid a probably Warriors matchup. 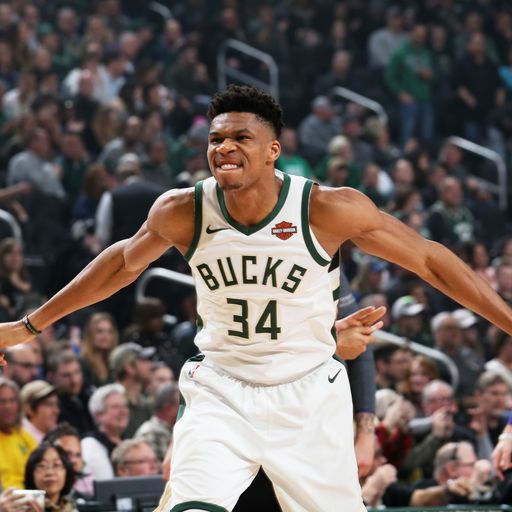 While a trip to the Minnesota Timberwolves is a game they should win, subsequent games at home to the Houston Rockets and away to the league-best Milwaukee Bucks promise to pose a stiff challenge. "Each game is important right now to be able to get our rhythm, get our groove going into the postseason," Westbrook said after the Pistons win. "Regardless of what seed we're in, it really doesn't matter. Just going out and playing our best basketball until the end of the year." There are very few players in the NBA who would favour a first-round meeting the Warriors, but it's hard to believe Westbrook wouldn't relish the opportunity, and that's what makes him so special.